I see on your blog that your beginning to share projects that others are working on. I decided to send you a couple photos of the one I have in progress. I have been at it since the middle of last year I don’t have a lot of space at the moment nor money to throw at the simulator but what I have works fairly well and I can fly both VFR and IFR fairly easily. 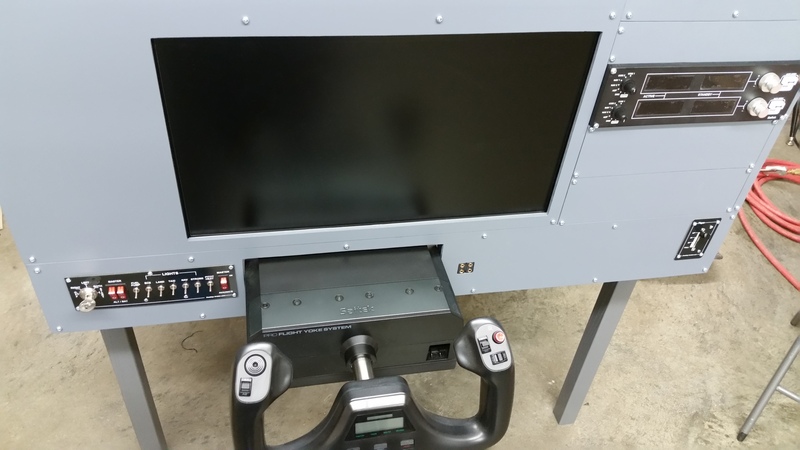 My simulator is no where near complete and is the bare minimum to get things up and running. I have added a few pictures if you would like to share I don’t mind at all and if you want more pictures I can send you some. 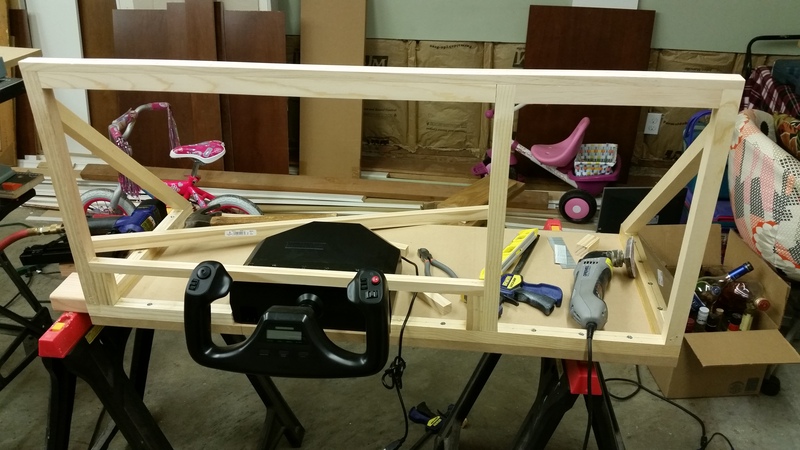 My winter project will be to enclose my simulator and run a 3 screen setup simulator to yours but a tad little smaller. 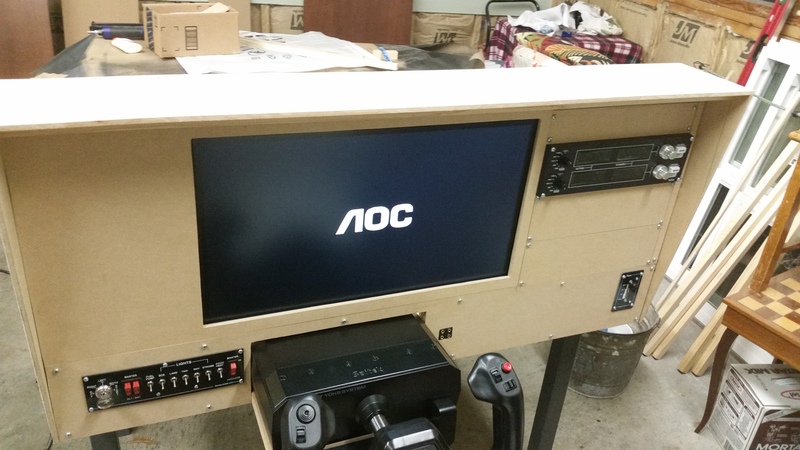 Long term goal is to build this simulator up enough to run a Cessna Caravan and even longer term goal is converting my wood working shop into a simulator room to support a 2 seat Dash 8 cockpit. Well that’s my dream anyhow. 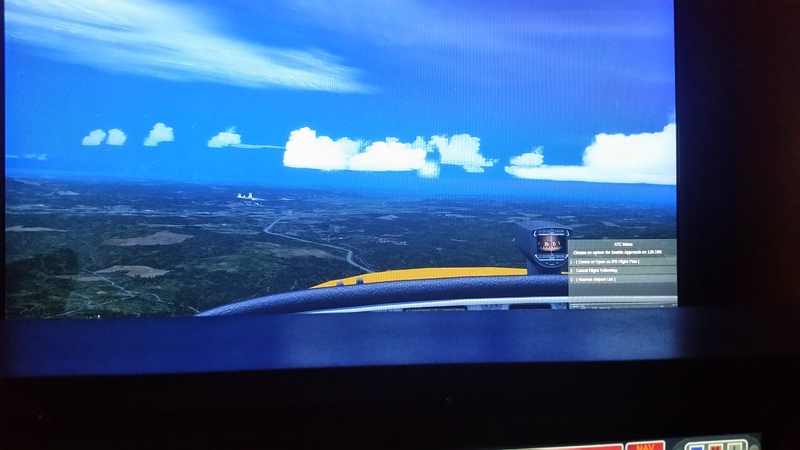 Not sure how you want to do this but I am also currently working on a MFD/GPS using the Sim Plugin MFD software and Thrustmaster Couger hardware. I know its not 100% accurate but it gives me a map, airport info and a few other tidbits that help in IFR. I can send you those photos as well and an updated one once I get the panel mounted in my simulator. Thanks again for all your hard work I look forward to many more videos and blog posts! It’s my pleasure, Tony, and keep up the great work! Nice job Tony! Looks really good and can’t wait to see how your one turns out. I love working on my sim and just waiting for some more parts to arrive from the states. Keep up the good work! Thanks Ian! The worst part about building a sim by far is waiting for hardware to arrive! Tony oils great! I’m building mine now too. I see you have the Cessna panel from desktop aviator. Are you happy with it? Are you running Prepar3d and if so, was configuring the panel to the software? Tony looks great. I see you have the Cessna panel from desktop aviator. Are you happy with it? Are you running P3D? If so, how was configuring the panel to the software? Thanks Nick! The Desktop Aviator panel works great i decided to go with the flip switches instead of the new rocker switch model they have it to me feels more authentic. I am running P3D with FSUIPC and haven’t had a single issue yet *knock on wood*. My six pack of and other additional instruments and gauges are from sim-plugins for the most part they do work well. 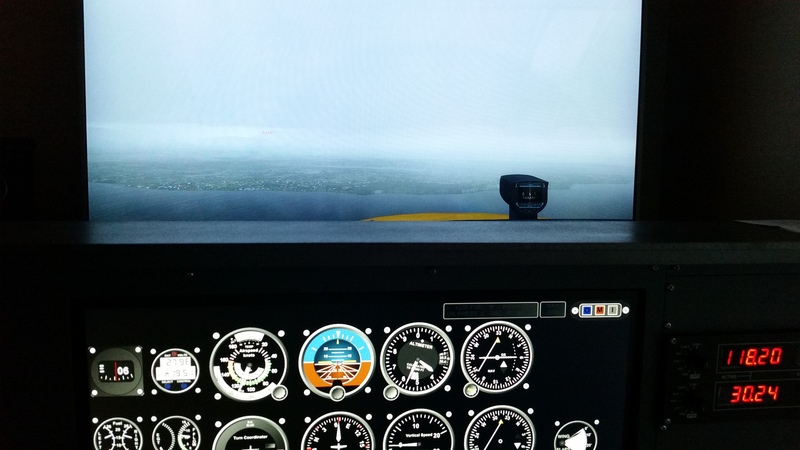 I have both the stand and A2A172 feature set installed though I am having a little bit of an issue with the altimeter not operating smoothly and when flying IFR in the clouds it become a bit problematic for me especially if turbulence is a bit rough. I just ordered the panel with the rockers … can’t wait. Real keys! Awesome job looks great. Can’t wait to finally get my working correctly. I will send over images once mine is up and running.